It’s fun to reflect on the previous year when January comes around. Even though January 1st is an arbitrary time that does not really have a cosmic event related to it (no moon phase change or equinox), many of us have time off and can spend it with ourselves and those we love. As 2019 begins, we start to think about the year ahead, but let’s not forget all that we have learned and how we have grown in 2018. These favorites are not all food related but I think that’s OK because there is so much more to life than what we eat! This juicer is the bomb! If you like to make fresh fruit and vegetable juices this is perfect! 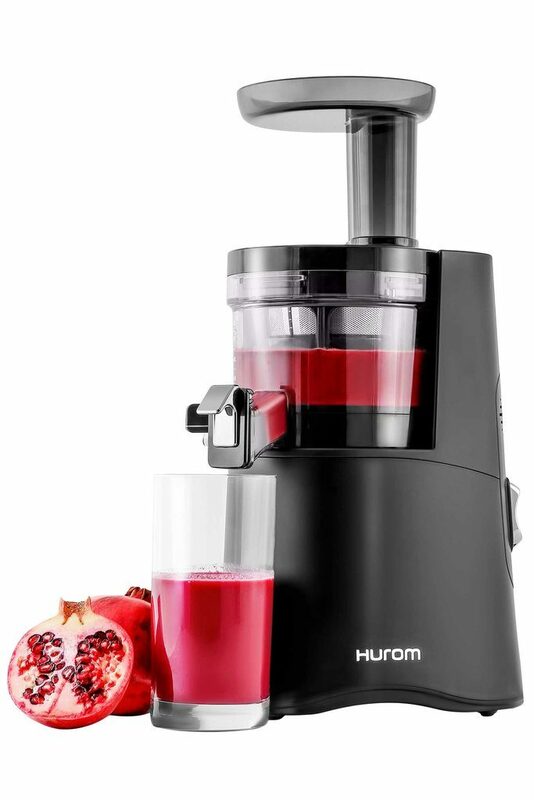 Even if you want to just do straight greens, the Hurom Slow Juicers are perfect because they use a masticating, pressing action instead of shredding like a centrifugal juicer. You can also make your own nut milks, including almond and also soy milk to make tofu! It comes with a tofu press. It is wonderfully easy to clean! Pomegranate juice is milkier and a beautiful rose pink color. One of the best pieces of equipment I got this year! Hurom often has sales if you sign up for their email list. I got mine for 30% off. I don’t remember how I came across Sahara Rose. I think it was via Instagram and researching something about Ayurveda. I have been studying Ayurveda since I lived in a Vaisnava (Hindu) ashrama 20 years ago. 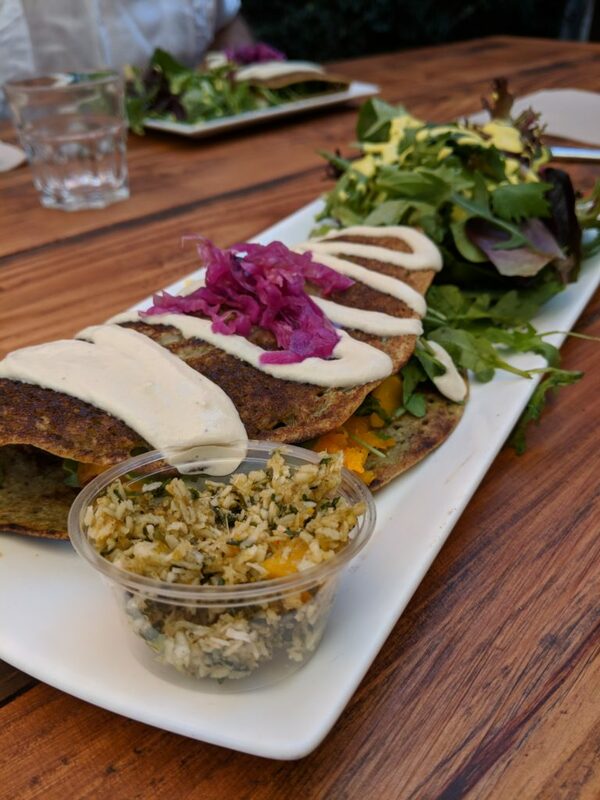 I learned all about my mind-body type or dosa and in the mid-2000’s I even considered going to Santa Fe, New Mexico to study with Dr. Vasant Lad. When I stopped eating dairy products 5 years ago after being vegetarian for 15, I found it hard to reconcile not having ghee and yogurt. I thought to follow a sattvic diet that Ayurveda recommended I needed to eat these items, so I took a break from Ayurveda. Then I decided to dive back in 2017 and just tell my Ayurveda doctor that I wouldn’t be eating dairy. In 2018, I started a more consistent Abhyanga practice, doing nasya (oiling the nasal passages), eating less raw food in the winter to not aggravate my vata tendencies and more greens and sweet fruit in the summer for pitta. 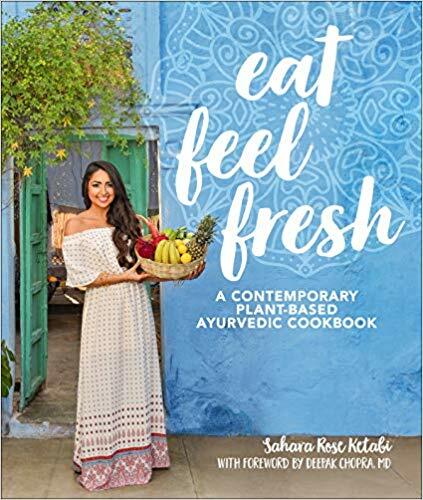 I got so excited to see Sahara’s book and how all the recipes were going to be plant-based! I also loved her fresh perspective on mushrooms, which I generally enjoy, but always thought of them as being tamasic (or foods that promoted ignorance, dullness). Her podcast, Highest Self Podcast is the best! She interviews people in the wellness and mindfulness space and also shares many of her own insights on how Ayurveda can help today’s woes. I highly recommend all of her content! 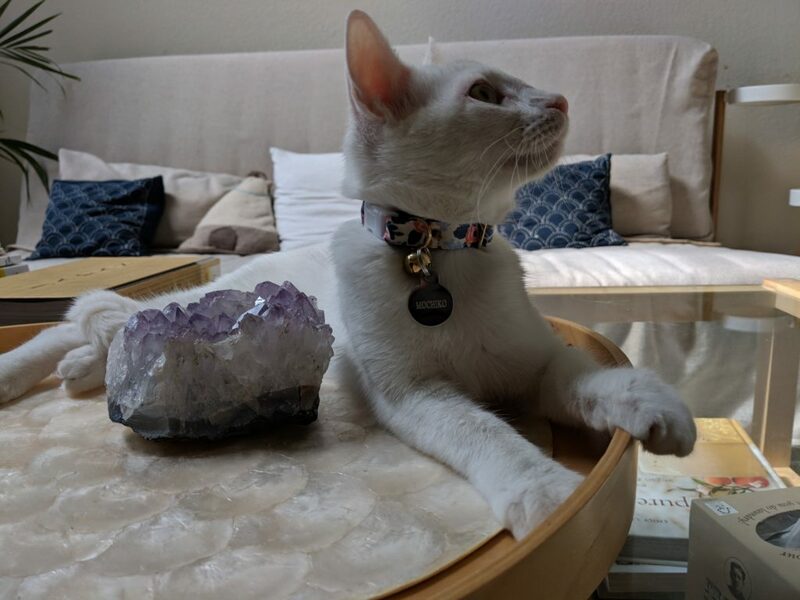 In September, I adopted a sweet white kitten named Sake at the POP Cats Convention, here in Austin, TX. It featured IamMosho the Cat Rapper! So many cat vendors selling feline fun and adorable kittens for adoption. I have always wanted to have a white kitty and after seeing her there and knowing that I had more cat love to give, she came home with me. I named her Mochiko, which is a type of sweet rice flour that is used in making all kinds of Asian desserts, including mochi! This kitty loves to give hugs and kisses! She puts her paws gently on both sides of your neck and licks you on the cheek or chin. She’s not an angel though because she loves to eat fabric. Throw pillow corners, prized stuffed animals, clothing, blankets, rugs, and shoes are all fair game. Soon my whole house will be covered in bitter apple spray…which does help! If you love all things from Japan like I do, you will love going to Kinokuniya and their stationery store Maido. Kinokuniya opened a new location in Austin, TX in August 2018. I can go here to look for Japanese language cookbooks and magazines. My daughter really got into the popular manga and anime, My Hero Academia and was able to meet the voice actors at the grand opening. I’m still trying to convince them to carry my favorite magazine from Japan, Veggy! I celebrated my Pisces birthday on a trip to LA and dinner at Tal Ronen’s Crossroads Kitchen. It’s not that often that I can go to a fancy restaurant and eat everything on the menu! My husband and daughter and I try to order as much as possible without busting out of our clothes. Austin, TX is great but you can only eat so many tacos and fast casual food. One part that was especially fun was cutting into a romanesco cauliflower en croute! See the fondutta spill out on IG. I had never been to Southern California other than the LAX airport. I wanted to visit somewhere else besides LA. Then I learned about Ojai! What a magical orange pixie land! The farmer’s market was full of what California had to offer despite the fires that happened during the winter. This small town is full of cute boutiques with bohemian wares, farm fresh restaurants, an outdoor bookstore, and spiritual retreat centers. My Meyer lemon tree made 4 lemons at the end of 2017. So I quartered and covered them in salt and let them rest in a jar (with airlock) for a 2 weeks before putting them in the fridge. 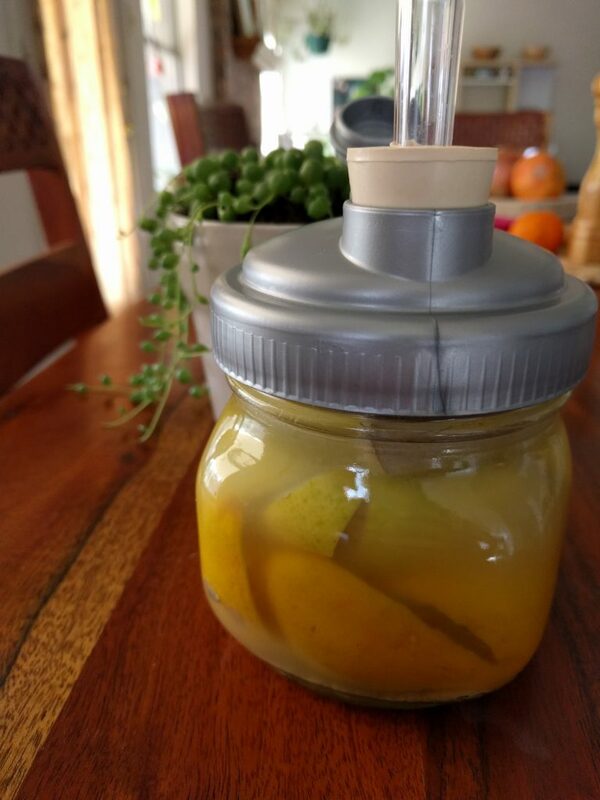 Fermented lemons are a great condiment for Middle Eastern dishes. I like to make mujadhara (lentil rice porridge) and have a bit of this golden goodness with it. In September, I joined a cookbook mastermind with Maggie Green of the Green Apron. Maggie is a wealth of knowledge and the author of 4 cookbooks, including the Essential Plant-Based Pantry. This group has been a source of accountability for me. I get to know other cookbook writers and get support others who are going through the process of creating a cookbook. I’m still not quite sure what route I will go for publication but as I learn more about myself and how I want to accomplish this goal, it will eventually be apparent. I’ve decided to do a cookbook diary on this blog to remember the journey. Look for upcoming posts!!! This year I cooked mostly with avocado oil and coconut oil. Avocados create a neutral oil high in monounsaturated fats, like olive oil. I use it for stir frys, baking, roasting etc. I’ve been trying to reduce the amount of any polyunsaturated oils and avocado oil has made big difference. I didn’t go to the official opening but decided to check it out a month later. Talk about Asian supermarket heaven! I think I was there for 2 hours. So many mushroom varieties are available at such a good price. 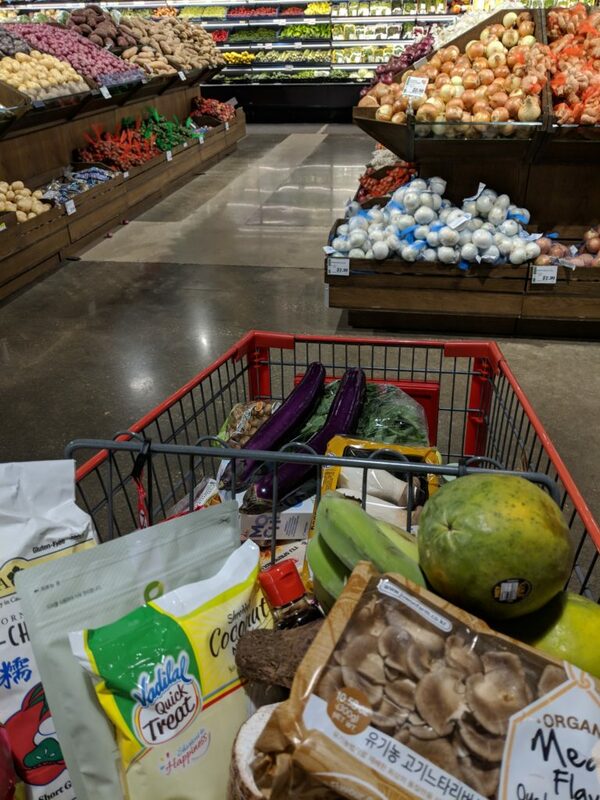 I was able to find Hawaiian papayas, ube, lumpia wrappers, shiso leaves, coconut icecream mochi and more. Even though it’s quite a trek from Southwest Austin to Hmart it’s well worth the trip about every 2 months. Along with using avocado oil, this year has also been all about Miyoko’s Vegan Butter. It feels so decadent and really tastes creamy. No weird film on the roof of your mouth after eating it. Goodbye Earth Balance and other non-dairy butter and margarine using palm oil. Even though palm oil isn’t made from animals, it’s a commodity that wreaks havoc on the local ecosystem in Indonesia and other countries that have huge palm plantations. Orangutans are suffering from habitat loss. It’s an example of how eating only plant-based foods still can cause great harm. Unfortunately, a lot of processed food, especially in Asia, has palm oil in it to make shelf stable foods. Another reason to look at food labels, even if it says “Vegan”. Wearing Pacifica sunscreen on Lani Kai beach on Oahu while being hugged by the Mokulua islands. Even though this brand is now marketed to millennials or younger, I have really enjoyed this fun, vegan natural beauty line. I used to buy Pacifica candles and solid perfume tins 10 years ago but this year I really dove in and bought so many products. Shampoo and conditioner, mascara, facial oils, and lip balm are staples. They even have a mineral sunscreen that is a coconut bronzing body butter with SPF 50. It’s tinted and has a little mica for sparkle. 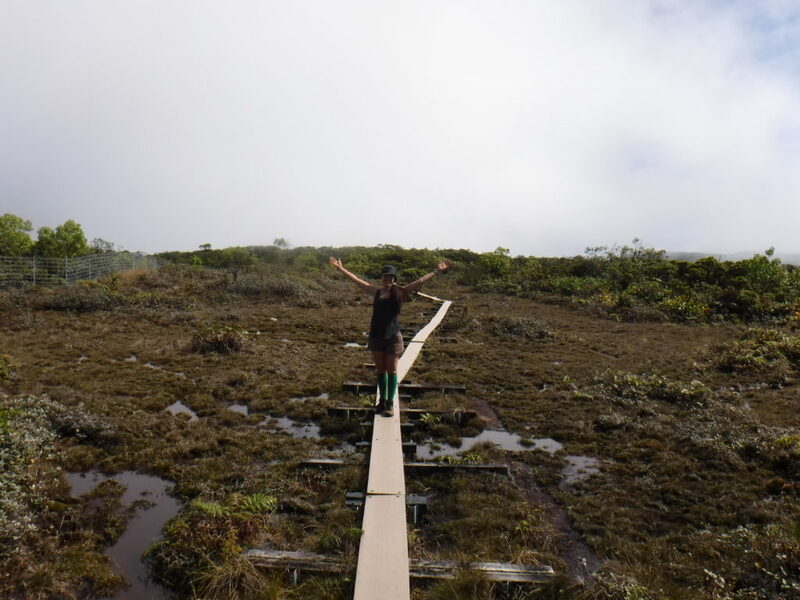 When I was on Kauai this past December, there was no need for me to be zinc white! Pacifica is something I feel like appeals to my teenage daughter but not full of toxic chemicals. She can get her glitter on and still be healthy! I’ve always felt comfortable with the fantasy genre and even spent 2 years playing World of Warcraft. I even won an honorable mention for an official World of Warcraft cookie contest when I made the Exodar building out of vegan sugar cookie dough. I wanted to have a Dungeons and Dragons party for my 40th birthday but my husband said none of my lady friends would come. So I had to wait a few years. Then came Stranger Things and a renewed passion among people in the US for D&D! We’ve hosted several D&D evenings with my daughter’s friends and they are so sweet to let me play. I’m a wood elf druid named Shakuntala (Shak for short.) My awesome husband is a super dungeon master and is resuming the role he had in childhood. It’s a great way to spend time with family and friends, requires teamwork, creativity, and embodying a character for several hours. I highly recommend it! This past summer my husband and I celebrated our anniversary with a backpacking trip to the Salmon River near Portland, Oregon. We both love the Pacific Northwest in the summer! 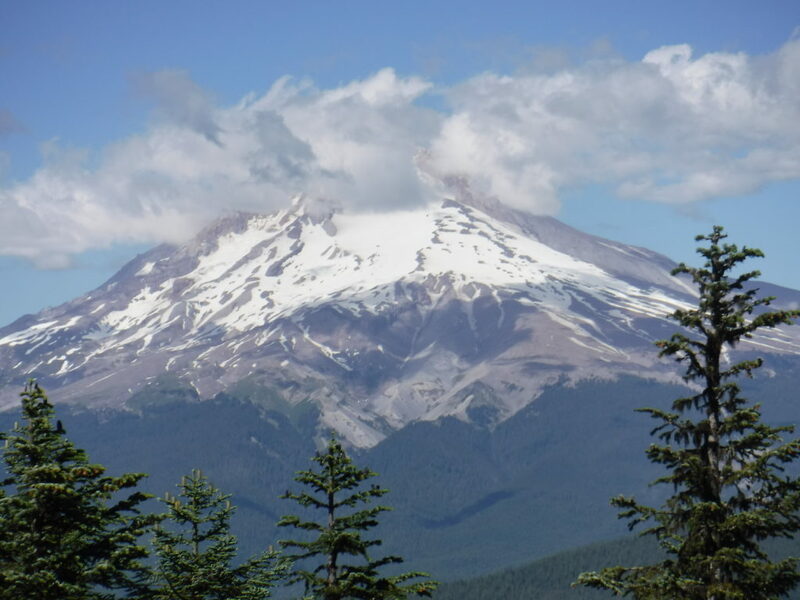 The forest and mountains fill me up more than the beach ever would. 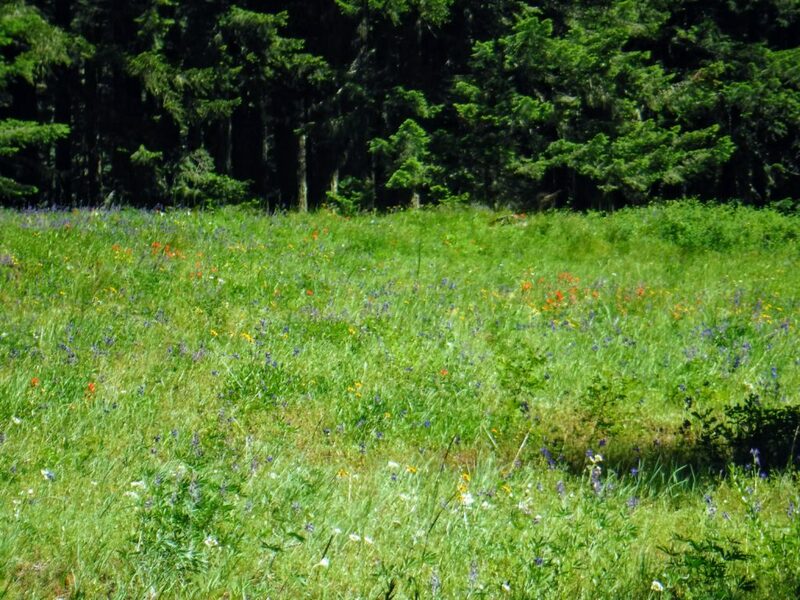 Heaven would be living in an alpine meadow in the spring with flowers blooming everywhere! Even though I still have bruised toenail beds from a 3 mile downhill hike with hiking books that somehow shrank from our Yosemite trip, I would definitely love to do this hike again. Cooking while on the trail, getting your water from the stream, and sleeping under the stars really makes you feel alive. I feel connected to humanity who had lived like this for thousands of years. I crave the dirt, sweat and the earthy feeling of surviving. And then I love the feeling of a hot shower and going to eat a fabulous brunch or dinner somewhere! I’ve been trying to reduce the amount of grain-based snacks I eat. I’m not a big fruit eater. I enjoy savory foods so I instantly get pulled toward salty and crunchy items. It’s easy for me to have a Vata imbalance (look up Vata dosha and Ayurveda if you don’t know what that is.) Here is where organic roasted chestnuts come in! These tasty nuggets are popular in Asia as a snack. They taste a bit like sweet potatoes but will be a lot less messy to bring with you. They are a good source of manganese, Vitamin C & B6, copper, and fiber. You can buy chestnuts and roast them yourself, or find them in shelf stable snack packs. This is the best interactive art exhibit I have ever been to. 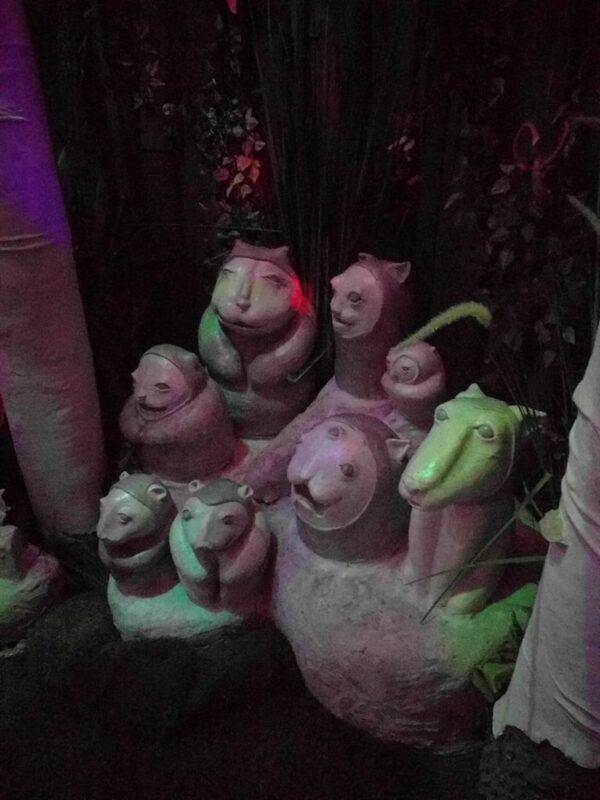 Meow Wolf defies explanation! If you travel to Santa Fe, NM be sure to check out the House of Eternal Return and look for a special refrigerator and clothes dryer! We did this great hike again and actually made it to the lookout out! It was incredibly sunny at the swamp this year. Lots of rotted boards have now been replaced with fibercrete and should last quite a while in those damp conditions. 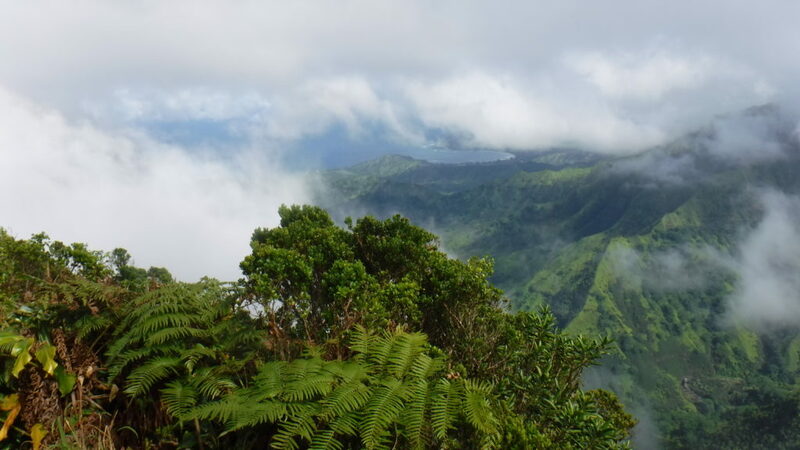 The view of Hanalei Bay after the fog and clouds floated away was magnificient. My favorite part of being on the Hawaiian islands is being high on a mountain and looking down at the beach. Being there with Nature and sharing it with my loved ones is one of Life’s greatest moments. This year my grandma/lola, Inay, was very ill in the spring and had a pacemaker put in. I visited her a lot in the spring and we talked a lot about family, the Philippines, and Filipino food. I can’t wait to celebrate her 100th this year. A couple of aunts and uncles came to visit from New Zealand. 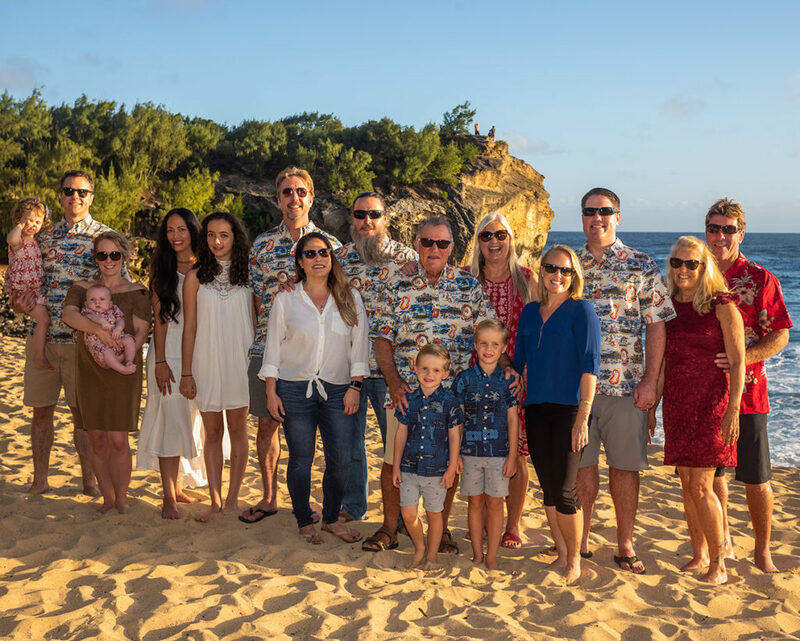 In December, we traveled to Kauai to meet family, including new nieces and nephews. 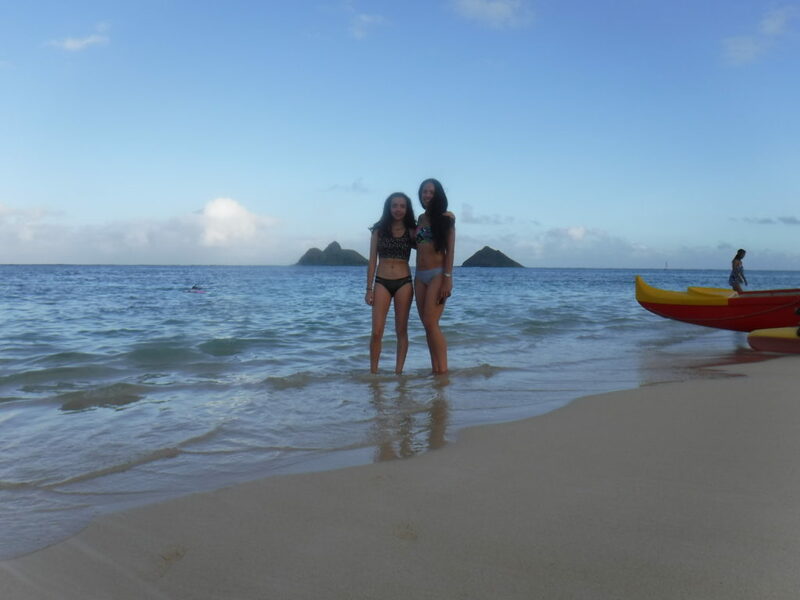 We took this big photo at Shipwreck beach on the south shore. I’m grateful for having a supportive family in all corners of the globe! I hope you all have a wonderful 2019! I’m looking forward to finding new favorites! Cookbook Diary #3 – What Have You Done? Everyone makes mistakes! They happen at the beginning of projects, during and right on through to the very end. Luckily, our journey in life can be about progress and not perfection. I usually don’t have issues with spelling. In junior high, I got to skip every other spelling test because I always got a 100%….